Our company is engaged in offering impeccable quality Container Sealing Material that is stringently tested for its quality and durability. The sealing material we offer includes, aluminum foil, adhesive, wax bond, hard-paper backing. Our material is demanded by various in-house company and Third Party Company that manufactures for the products such as talcum powder, face cream container, body lotion, synthetic milk, chemical bottles, lubricants etc. We are engaged in developing finest quality Sealing Wads that come with multiple layering for protecting the production from leakage and air sealing. These are installed on the top of the caps. We find these in the caps of mustard oil, coffee bottles, sauces bottles, health supplements, cosmetic items etc. We use finest material in manufacturing these sealing wads that are water resistant as well as durable. 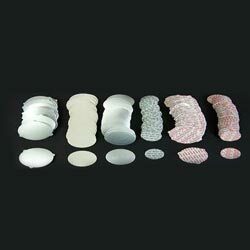 The sealing wads we offer are completely customizable. 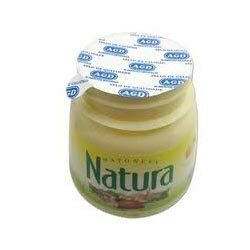 We are offering robust quality Form Fill Seal Packaging that is made from robust stainless steel metal that is used in sealing the top of the bottles. These are installed by various products such as cosmetics, pharmaceutical, food items & beverage items etc. 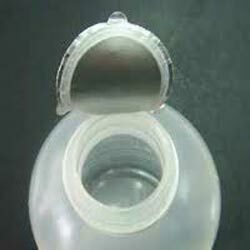 This form fill seal packaging give complete leakage free packaging and air tight sealing. Our offered packaging comes with strong adhesiveness that lasts longer than other seal packaging.